Earlier this year, John Julius Norwich, who has sadly died aged 88, gave his last interview and wrote his last article – both for The Oldie. In his interview, which you can listen to here, he was full of life, wit and intellect. And song; in the interview, he suddenly broke into an aria, singing the words of D'ye ken John Peel - in Italian. In the Oldie’s April issue, he also wrote very movingly about his great friendship with the travel writer Patrick Leigh Fermor. Below is that last article. 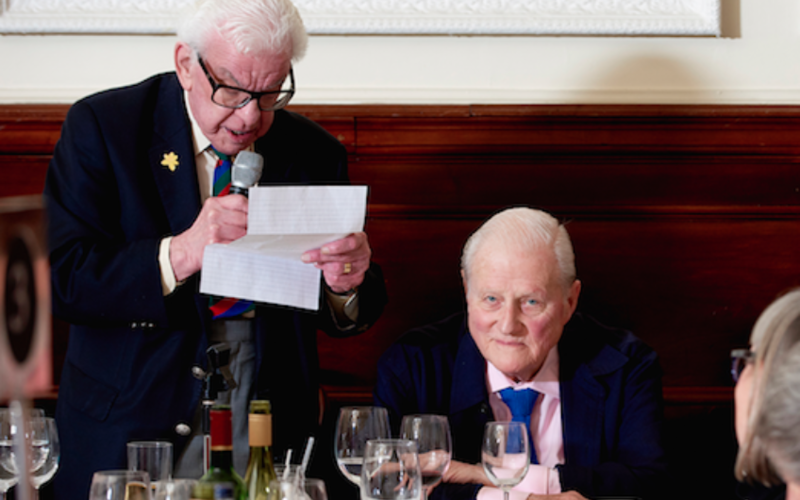 John Julius (pictured, right, last year at an Oldie lunch with Barry Cryer, left) will be much missed and mourned at Oldie Towers.